Only five weeks ago, Universal Car Keys competed with over 300 new products and was voted “Best New Product” by attendees of the 2015 Automotive Aftermarket Products Expo (AAPEX) in Las Vegas. AAPEX is North America's largest international aftermarket trade show for the auto industry, drawing over 145,000 attendees. 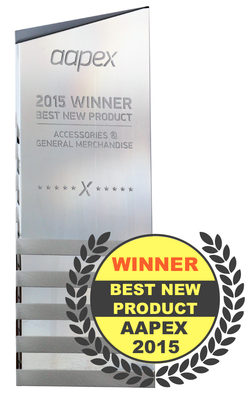 “Winning ‘Best New Product’ at AAPEX confirmed we had a genuine hit. There were hundreds of great products competing, but the Universal Car Key is such a unique product. Winning big at AAPEX also meant we had to go to CES. A product this popular deserves a big stage. We can’t wait to introduce our Universal Car Keys and Universal Car Remotes to CES attendees and media. We’re confident they’ll appreciate the unique value proposition that the AAPEX voters saw: Dealerships have had a monopoly selling replacement keys and remotes for decades. The world's first Universal Car Keys and Universal Car Remotes help move key replacement back to retailers.” -- said Mark Lanwehr, President & Founder, Solid Keys USA. Decades ago, car owners easily replaced keys at hardware stores and other retailers. In the 1980s, car makers began using high-security keys, resulting in the key replacement business being shifted to car dealerships’ parts departments. In the 2000s, car manufacturers moved to “remote-head” keys, combining keyless entry remote functions and key blades into a single, integrated device. Aftermarket manufacturers of traditional high-security keys suffered because keyless remote technology was unfamiliar to them. Keyless remote technology is Solid Keys USA’s core competency, leading to the 2014 release of the world’s first and only Universal Car Remote. The easy to use remote works like a universal TV remote, but it’s made for cars. The Universal Car Remote covers 20 car brands, from Buick to Volkswagen. Solid Keys then leveraged their expertise in remote technology to address the emergence of “remote-head” keys, and entered the replacement key industry. Their efforts have culminated in its most recent offering--the world’s first Universal Car Keys. With Universal Car Keys, hundreds of “remote-head” keys are combined into just a few keys. Stocking a few keys to cover millions of vehicles results in a dramatic reduction of inventory, helping shift the lucrative automotive key replacement business back to retailers and repair professionals. Solid Keys USA: a division of iKeyless LLC. Established in 2002, iKeyless.com was the internet’s first online retailer offering keys and remotes to consumers. In 2010, iKeyless established its research and development division, now known as Solid Keys USA. 2011 marked the beginning of iKeyless manufacturing its own line of replacement keys and remotes. In November 2014, iKeyless celebrated the release of its highest product development achievement to date--the world’s first Universal Car Remote. The Universal Car remote is being received enthusiastically by retailers and independent shops across North America. iKeyless LLC is a privately-owned technology company based in Louisville, KY USA.